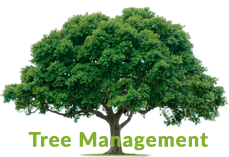 Southern Arbor Services Inc. is a Tree Servicing company that is growing rapidly and is currently searching for hard working individuals that are looking for a secure place of employment year round. There is plenty of room to grow with the company and Southern Arbor Services Inc. takes pride in offering quality work to our clients as well as offering our employees proper treatment, wages, and respect. Enforces safe work practices, as experience, judgment, company policy, and OSHA specifies with company policies and procedures. Please reply to this ad with name, phone number, and we will get in touch.